Sarowin HD-10 Wireless HDMI Transmitter & Receiver Kits run at 5 GHz operation freuency to delivert uncompressed HD video/audio 20 meters open field and 10 meters through wall with hidden atenna . 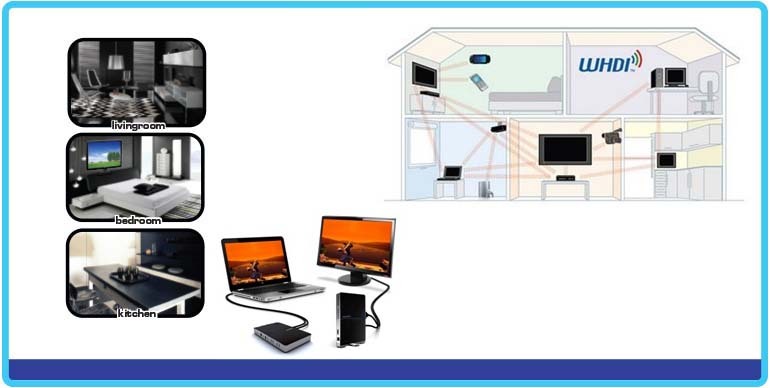 HD 10WH device kits make wireless connection bu using WHDI Technology from HD Media Source Devices such as HD Disc Player, Game Machine, Set-Top Box, PC to Display Device such as TV, Projector, while keep wire-equivalent quality and no latency. Sarowin HD-10 also have their own user friendly optional accessory kits which are the 4 in - 2 Out HDMI Switch and the IR-Extender. User can freely choose your desire media program from max. 4 different source device plays on the 2 different HDTV at different place. To accomplish user friendly. 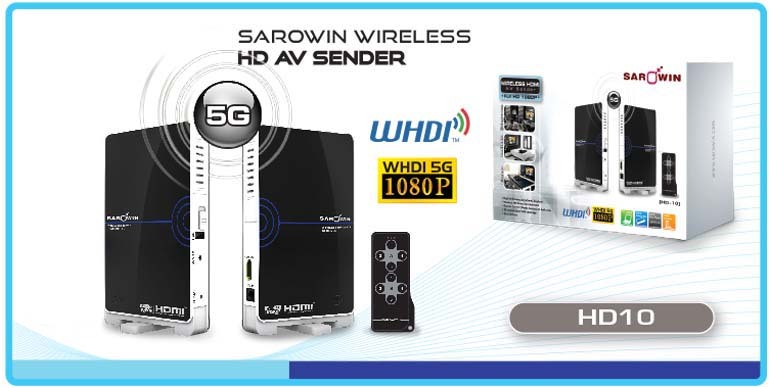 user stay at the receiver side can using Transmitter side Remote Control (Media Source Device) through Sarowin HD-10WH Kit wireless transmission to control at the other side Media Source Device.